At CLIMESA we develop, design and manufacture Flexible Containers for packaging all kind of granular and powdered products. The high degree of specialization of our team and our experience in the packaging sector allow us to create and adapt industrial solutions for the best results, from the most advanced applications to classic and traditional operations. Our main goal is to offer our customers the highest degree of satisfaction in our sector through high-quality, certified and effective production adapted to the technical requirements of each operation. Our service is local, targeted and reliable, and is based on the professionalism of a young team with the know-how of a past and present lived in a production factory. We believe in a job well done and in corporate values that are fundamental for sustainable growth. We create a trusting environment that enables collaborative and productive relationships with those around us. We think globally. We act locally, always heeding closely to our customers and their needs. In the 1930s the Climent family lived and worked in a house-workshop in the Barri de la Plata district of the Poble Nou neighborhood of Barcelona. The profession of leather worker was very highly prized in a city where people still got around in horse-drawn carriages. The art of sewing, by hand and using the first industrial machines, laid the groundwork for what CLIMESA would become, and in 1973 our founder Juan Climent Isalt began to develop and manufacture products using synthetic fabrics, because they were more economical and had properties that improved on what had been available. That, along with the creation of raffia and polypropylene tape, led to the birth of what is today an industrial packaging used frequently in the chemicals industry, mining and the food sector. In the 1980s the use of Flexible Containers spread to the storage and transport of all kinds of products. CLIMESA invented and provided practical solutions for a technical packaging that would meet the increased demand for performance features. In the 1990s, driven by the building boom in Barcelona leading up to the Olympic Games, we were the spark behind the invention and development of urban waste collection with a simple and durable Flexible Container that has been part of our city landscapes ever since. Customization, colored fabric, a practical design and interaction with waste haulers and managers have helped us create a successful model that is highly sustainable in the field of construction and renovations. This model opened the door to supplying materials to worksites in a practical manner, in batches of 1,000 kg and with variations to fit any adaptation required by the market. Our company’s long history in industrial sectors has led us to constantly update our processes and quality control, in compliance with the international standards and regulations in force at any time. CLIMESA is currently the longest-running member of EFIBCA (since 1987), the association for companies in our sub-sector. We got our ISO 9001 certification in 1996 and have renewed it as required ever since. This is a clear demonstration that our processes and our organization are governed through structured planning with continuous review. Our quality is guaranteed by our team. They come from all over but are united by a job and an industrial project that respects the best values of our society. We are prepared to give the best of ourselves and meet our customers’ needs each and every day. 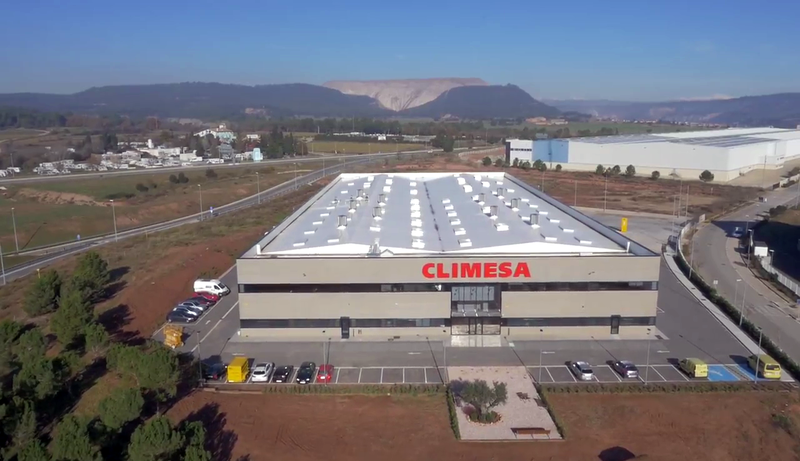 In 2000 CLIMESA expanded its facilities with a 6,000 square meter plant in the town of Castellgalí. We recently moved and expanded our installed capacity to a new location in Plans de la Sala, Sallent. We have been manufacturing our products in a high-performance building with the best technology in the sector since October of 2015, building up our offering in terms of quantity, quality, and especially innovation that can be found nowhere else in our sector. Today CLIMESA is a family business with a highly professional management and technical team. We are able to generate a tomorrow because we know what our customers need. And we know how to achieve it constructively and sustainably.